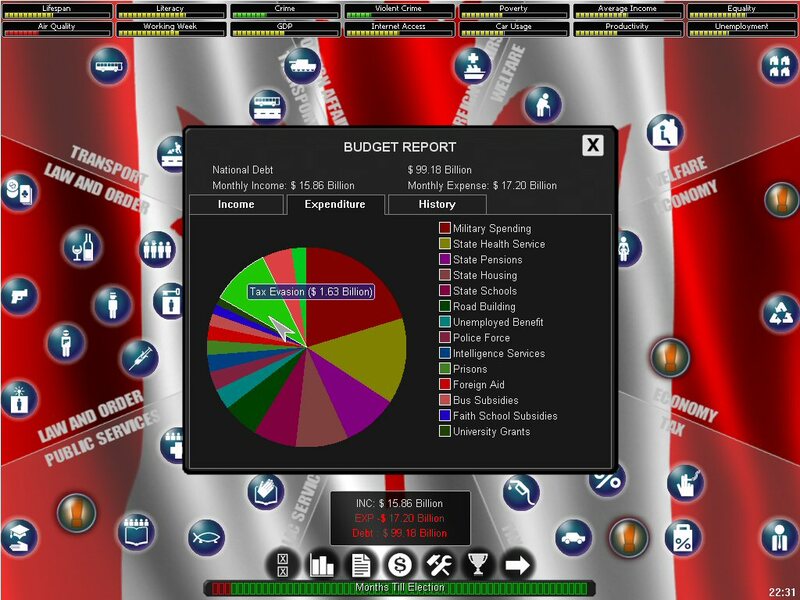 What would you do if YOU ran the government? Congratulations! You just won the election, and are now the leader of a great democracy in the modern world. 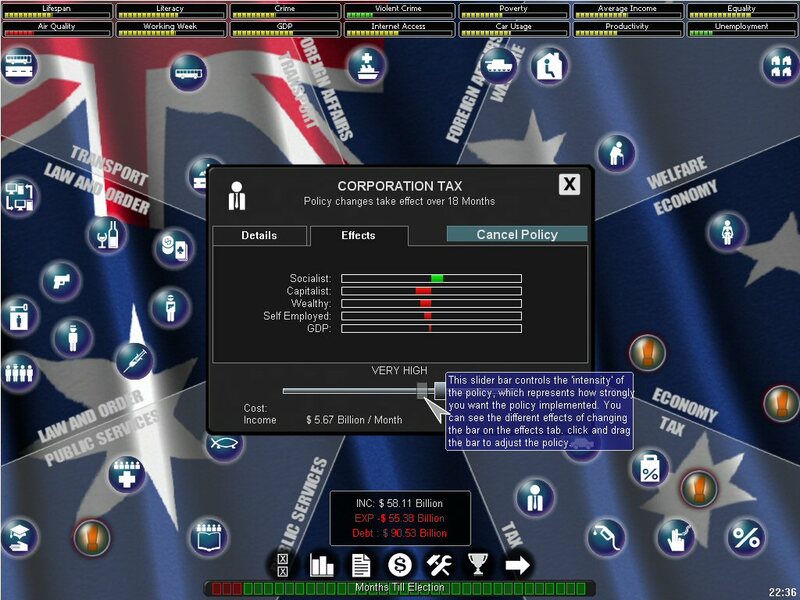 Your objective as President or Prime Minister in this awesome turn-based simulation, is to manage your chosen country and get re-elected every four years. There are no term limits, so you can theoretically stay in power forever. The trick is to balance the needs of your constituents through setting policy and responding to various crises during your terms. Sure, you could cut taxes in half across the board, which would certainly make everyone happy in the short term. But when your company is falling into bankruptcy and you have to start cutting medical care, anti-pollution measures, and so on those same voters are going to be pretty unhappy with you. Think you could do better than the current administration? Now's your chance to prove it! 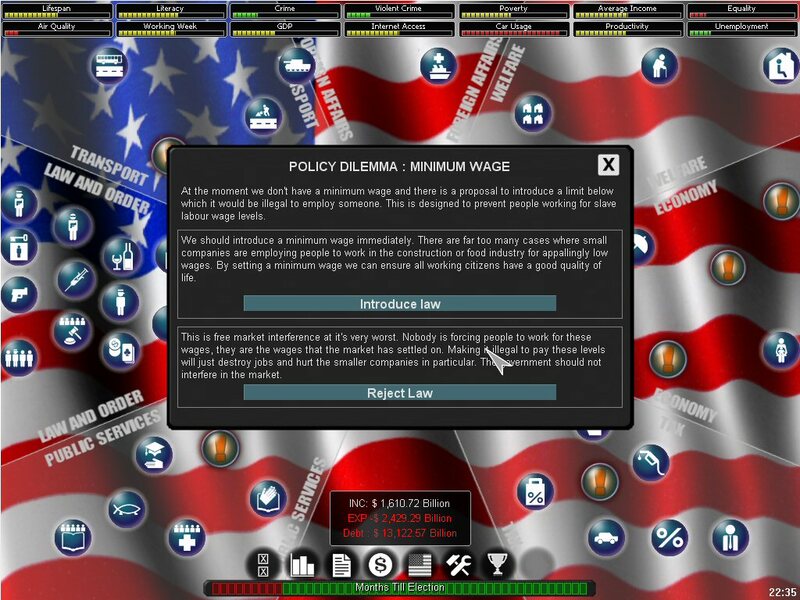 Download the free demo of Democracy and give it a try!